If you are new to kratom, you will agree that choosing the right vendor can be overwhelming and confusing. Thus, it is necessary that you understand the claims and prices of these Kratom sellers. Before you buy from a reputable kratom vendor, you must first understand that specific areas declare kratom as an illegal substance. You must first check the list so that you do not waste your money. You cannot have your kratom shipped to Myanmar and Australia. Kratom is illegal in those countries. Moreover, New Zealand, Germany, Denmark, Romania, and Denmark regulate kratom heavily. 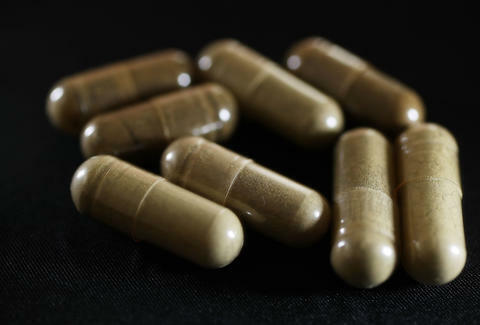 In the US, you can buy kratom in most states although some have pending legislation about it. Wisconsin, Tennessee, Arkansas, Alabama, Indiana, and Vermont passed a law that penalizes possession of kratom. In Canada, kratom is legal. You will find kratom powder and extracts in many smoke shops and head shops across Canada and the US. However, you do not have to go to these places to buy kratom because it is available online. Most reviews publicize the standard-sized kratom powder bag. However, wise users buy in bulk because they save money in the end. In fact, most suppliers also offer free shipping if you buy in bulk. Most suppliers provide coupon codes that you can use in buying their kratom products. Take advantage of them to purchase kratom at discounted prices. Reputable kratom vendors have money-back guarantees if their products fail to meet your requirements. If you are not satisfied, they have a process for returns and refunds. Thus, before you buy your favorite kratom product, you must ensure that the vendor has a policy for returns and refunds. The results must show that the product has unadulterated kratom and that it is free from contaminants. The product must have a batch number or lot number on the product packaging and label. It is essential to determine the history of the product’s production. Also, there must be a product expiration date. If the seller is not transparent about these details, you can search for another vendor. Steer clear of kratom sellers who do not follow ethical marketing and labeling. Also, do not buy brands that associate with “legal highs” and opiates, or any other buzzwords used in drugs. They practice cheap and false gimmickry to sell their products. If you buy these brands, you are patronizing sellers who cause parents, government, and law enforcement to fear kratom. Do not purchase brands that have designs that are visually appealing to younger children. Furthermore, do not patronize brands that claim kratom can cure diseases. Kratom has no approved therapeutic claim. As such, kratom sellers cannot advertise that their product is a miracle cure for any illness. Reliable and reputable kratom sellers are members of American Herbal Products Association or any other trade organizations. Moreover, you must be wary about vendors selling kratom at rock bottom prices. More often than not, these sellers are trying to dupe you into buying a fake product. Suppliers who guarantee that their products are 100% quantity and quality are in the marketing propaganda. There is a reduction in kratom quality due to processing; thus, no reliable vendor can make a guarantee regarding quality and quantity. You can ask your chosen seller if he makes an effort to keep Kratom legal by volunteering time, donating proceeds of sales, or contributing free products. You can buy from other kratom sellers if your chosen vendor is only after his profit.